We spend an average of a third of our lives in bed. So it is crucial that you have the right bed and especially the right mattress. Nothing beats a good night’s sleep. It helps you to wake up feeling refreshed and ready for the rest of the day. 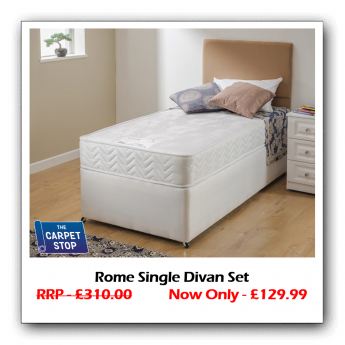 At The Carpet Stop our ranges of quality, comfortable and affordable mattresses come in a variety of sizes, materials and firmness ratings to ensure you have a good nights rest. 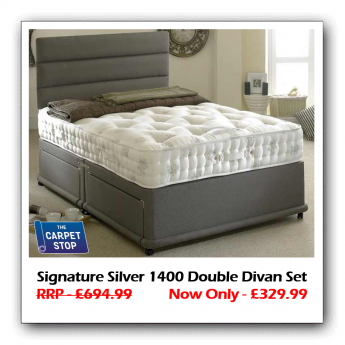 We know different people prefer different types of mattresses, and that’s why we stock a wide variety. 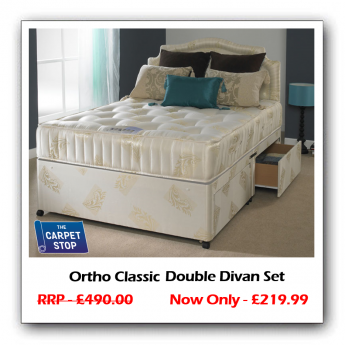 Our stock includes open coil, pocket sprung, orthopaedic, reflex foam, memory foam and latex mattresses. But it’s not just the mattress that’s important. A quality mattress needs a quality bed. 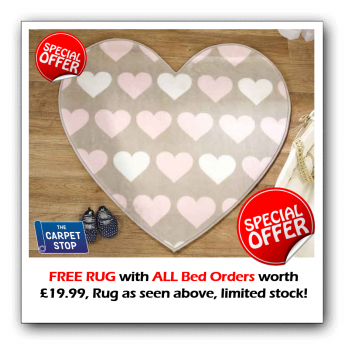 A bed can be a stunning centrepiece for your bedroom and we have a great choice of designs and styles that you can tailor to your individual requirements. 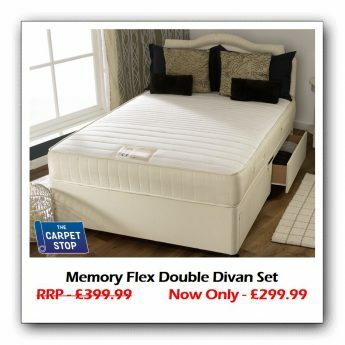 We also have several storage options for beds to give you some handy storage space. 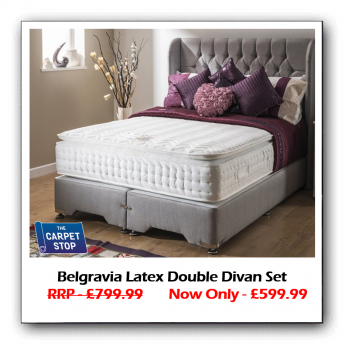 Visit us in store to view our full ranges of beds and mattresses for yourself, this way you can test each one to find the perfect one for you. 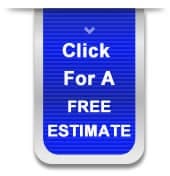 Our friendly staff will take you through all of the options within your price range. Along with our beds, we also stock a large selection of pillows and headboards to add to your bed. We have traditional feather pillows, budget pillows and memory foam pillows. 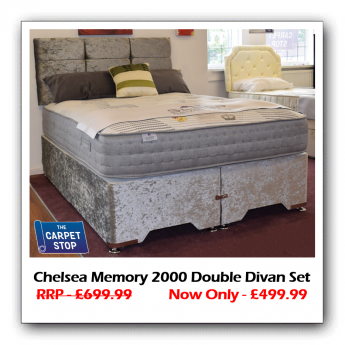 As well as a large selection of double and single headboards. A standard bed set is inclusive of the bed and mattress. 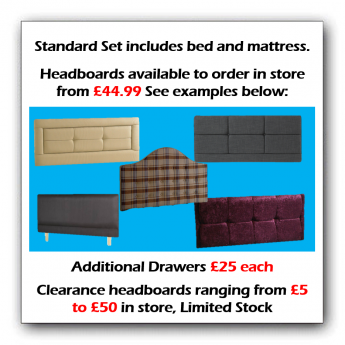 If you would require a headboard these are available too, with a wide variety on offer. We can also supply handy storage draws too at an extra cost of £25 per drawer.